These projects represent the diverse and varied work that our members deliver, and fall into the following eight categories; Commercial, General Agricultural & Storage, Livestock, Industrial, Public Services, Residential and Recreation & Leisure. 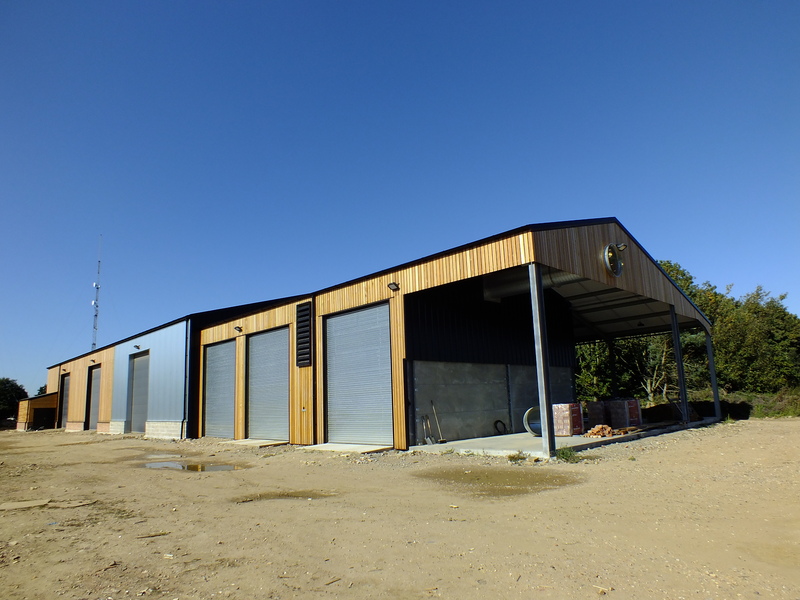 The below case studies have been taken from the shortlisted entries that were submitted for the 2019 RIDBA Building Awards, which celebrate the best in rural and industrial building completed by members over the last two years. This Industrial Unit & Headquarters was constructed by A.C. Bacon Engineering after Primo Manufacturing and Challs International suffered a major fire. The project consisted of the supply & erection of 105 tonnes of hot-rolled steel and 3578m² of roof and wall cladding for two new structures. The building incorporates intelligent climate controls and automated systems, combined with rain water harvesting facilities. 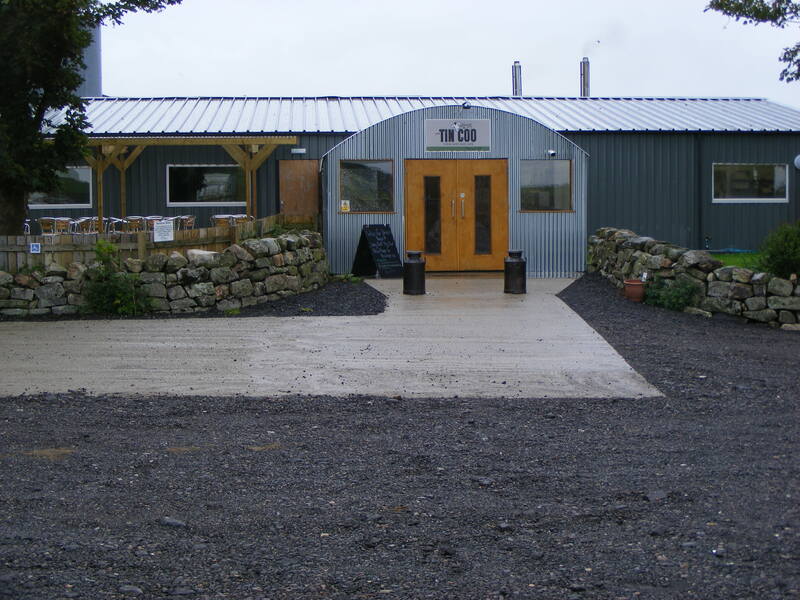 Parc y Bocs Farm Shop is the brainchild of John Burns, the community-driven founder and managing director of Kidwelly company Burns Pet Nutrition. 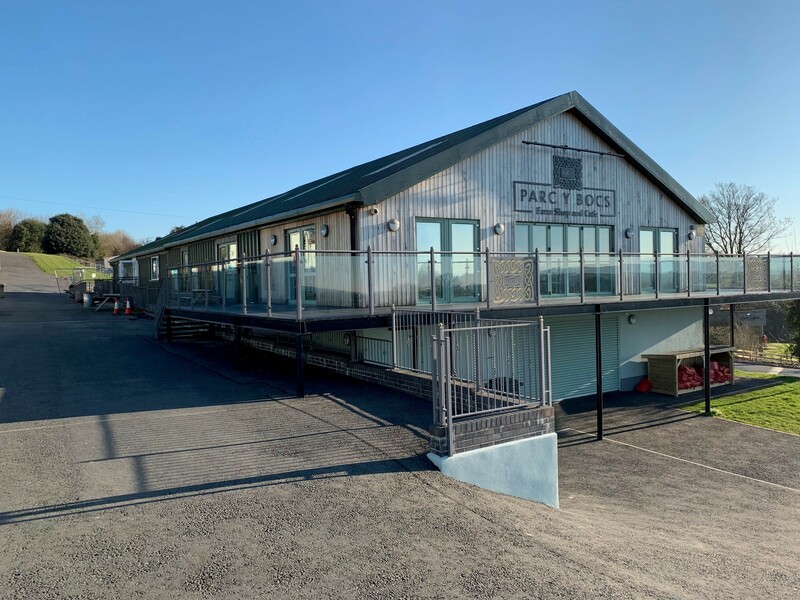 From humble roots as a roadside honesty box next to the free-range eggs, Parc y Bocs has rapidly transformed into a popular leisure and retail destination. 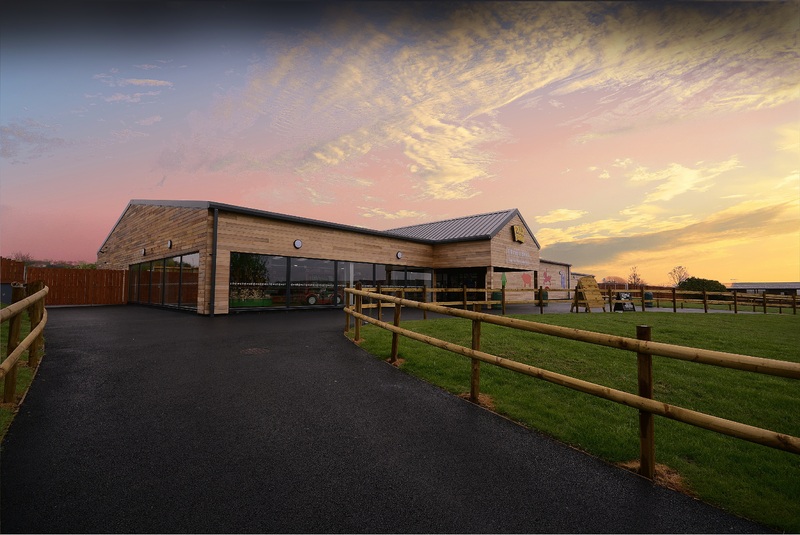 The venue boasts state-of-the-art facilities including a huge internal and external seating area and cafe, a well-stocked farm shop specialising in local produce, a lift, toilets and family room officially registered with Changing Places, a large children's play area and beautiful grounds. The Dojima Sake Brewery has its roots in Settsu Tonda in Kansai, Japan, a place with 500 years of sake brewing history. The project was supported by both the UK Trade and Investment (UKTI) and the Japanese government as the brewery is an essential part of a £9m investment to create 100 jobs over 5 years. This project boasts extreme attention to detail such as the feature glazing to the frontend gable wall in the shape of a Japanese symbol. 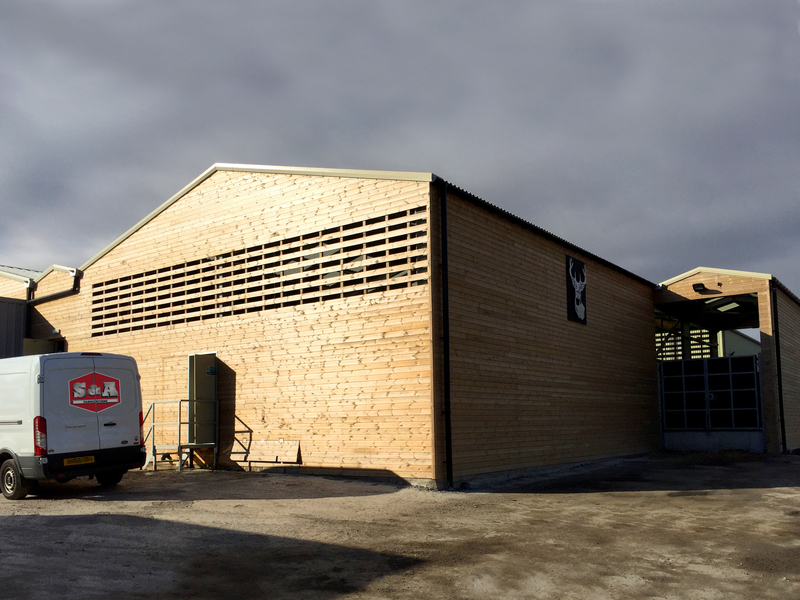 The symbol set within the cedar cladding translates to ‘SAKE’, paying tribute to the buildings purpose and culture whilst creating an aesthetically pleasing, modernised brewery. This yoghurt manufacturing unit utilises the milk produced on the farm to manufacture a product to sell to customers. The product has won a number of awards and is extremely sustainable. Currently, only 1000 liters of milk is processed on a weekly basis. This enterprise is a testimony to farmers facing adversity as it shows their resilience and hard work. The conversion project took an unusable building and transformed it into a coffee shop with a children’s soft play area and educational area with a viewing of the cows being milked. 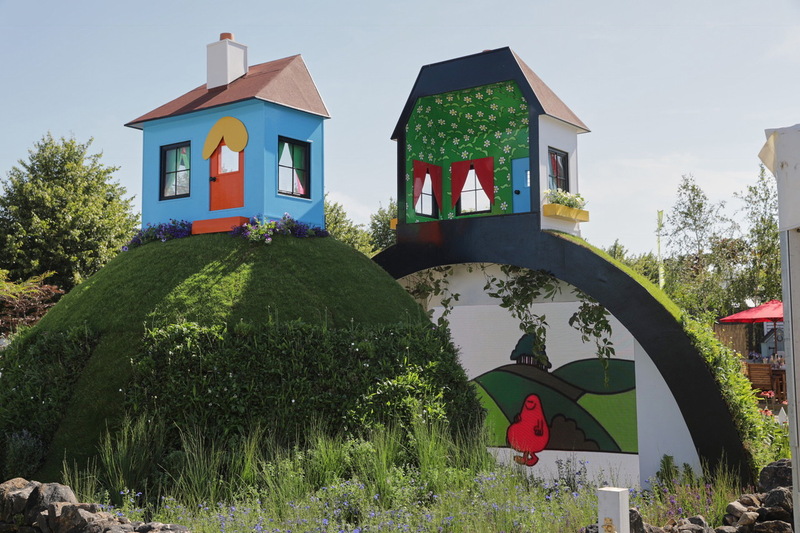 The Shand family carried out 95% of the work themselves, using predominantly recycled materials. Shufflebottom worked on the steel framing and cladding of the showground. It was extremely important that the project architects and design team at Shufflebottom had a strong relationship in order to eliminate many of the design related difficulties. 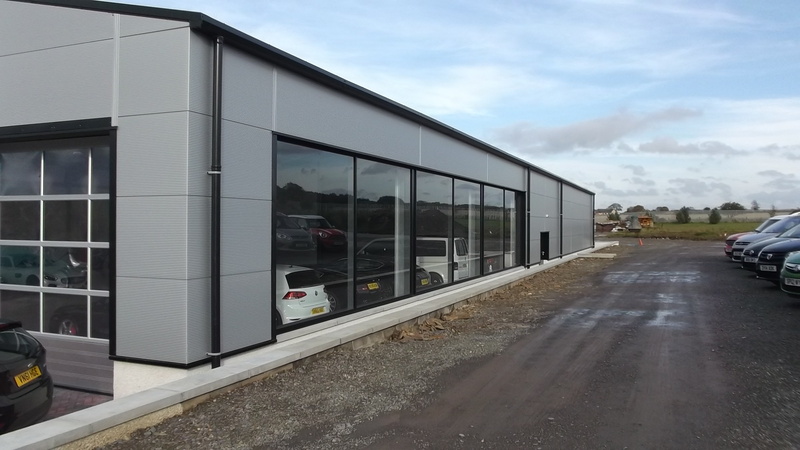 This project has provided employment to the local area, and thus supporting the local economy. The end product will also deliver long term employment opportunities for local people living in Carmarthenshire and South West Wales generally. This project involved the construction of many different elements of the Head Quarters at Timmins Engineering. The building is split into four sections via division walls. The offices were designed with expansion in mind starting with the ground floor office and the capabilities to fit a further floor of offices. This project demonstrates to customers that visit the offices what Timmins are capable of achieving. The new grain story and dryer at Buckminster farms consists of two 2500 tonne storage areas loaded by and over head belt conveyor from a 60tph continuous flow grain dryer. The use of concrete panel walls allowed grain to be stored to 6mm deep along the sides, peaking to 10m in the centre. Concrete panels are installed on the end gables and divider wall so that the peak is maintained to the end walls of the storage areas. The whole building was constructed following the levels being lowered and earth banks being created. Dendoldrum Greenbed is a storage unit which houses straw, hay and machinery, as well as housing three heatpumps powered by existing wind turbines. 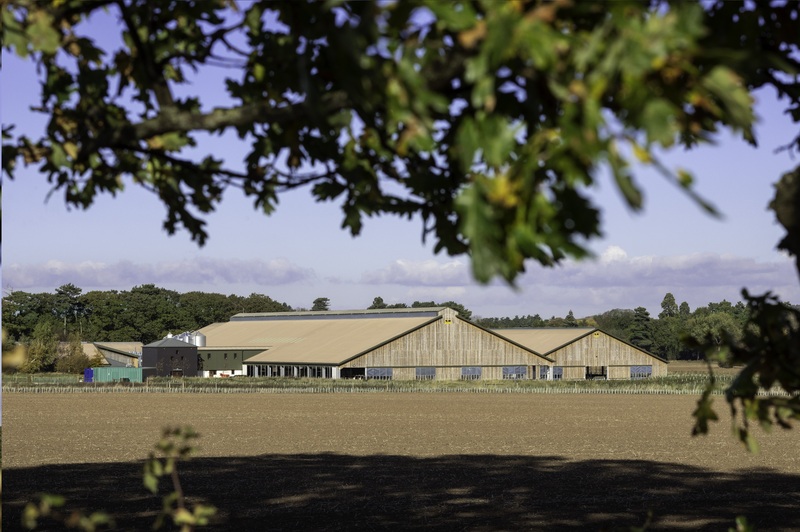 Shand Building Design thought it was important to enter this project in order to gain wider acknowledgement of sustainable farming practices, as these practices involve the biggest food production cycles in the UK. The original yard at Hinton Lodge comprised of traditional agricultural buildings which over the years had fallen into disrepair. 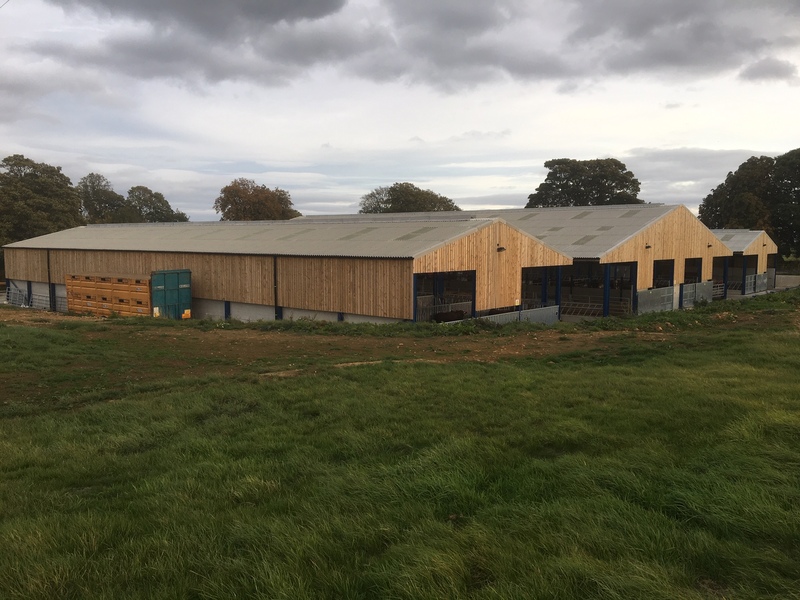 The regeneration involved demolition/conversion of existing traditional farm buildings into offices; the construction of a new facility to provide machinery storage and maintenance; plus a biomass processing facility to support its forestry and conservation operations. This building was originally constructed in the 1980's and was in serious need of a cladding and roofing refurbishment. The existing cladding was so eroded that it had previously blown off in high winds, which naturally causes a health and safety to risk to the public. 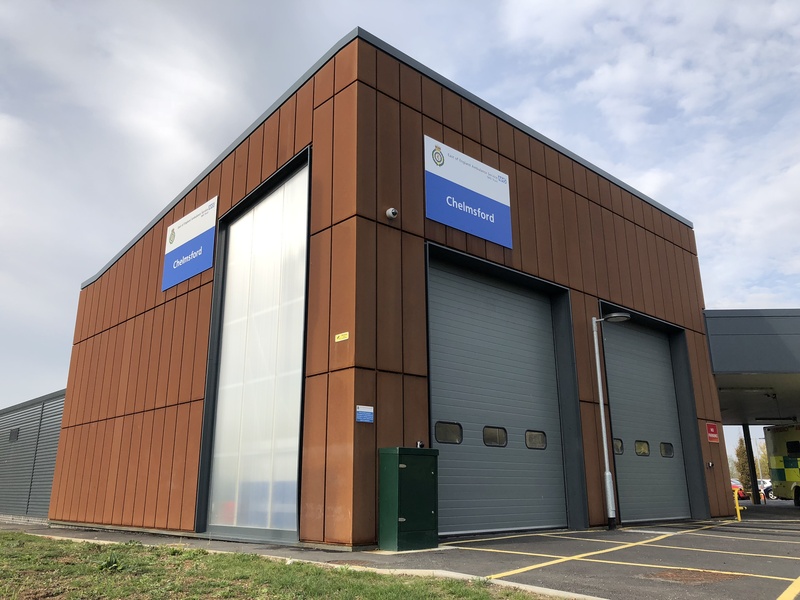 The operatives that worked on Shoreham Water Treatment Works were very successful in transforming this from being an outdated, hazardous building to a safe, modern one. 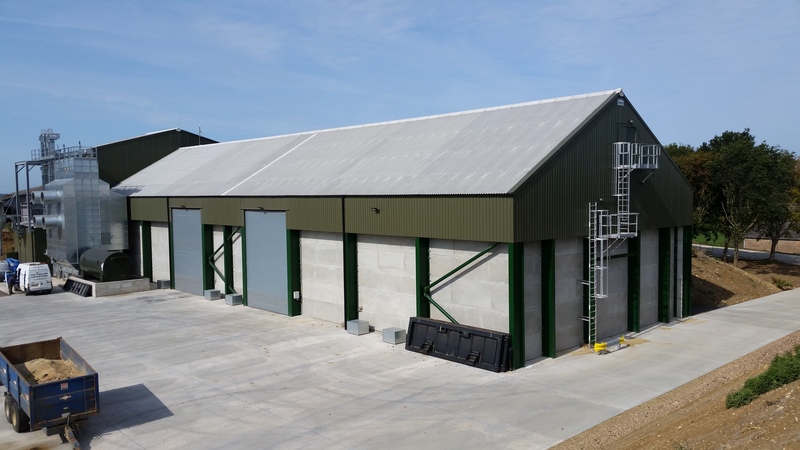 The Venison Lairage and Processing Facility is an innovative and high-quality building designed to minimalise interaction deer have with humans prior to slaughter. As well as the design, the project required the manufacturing and fitting of the deer handling equipment. 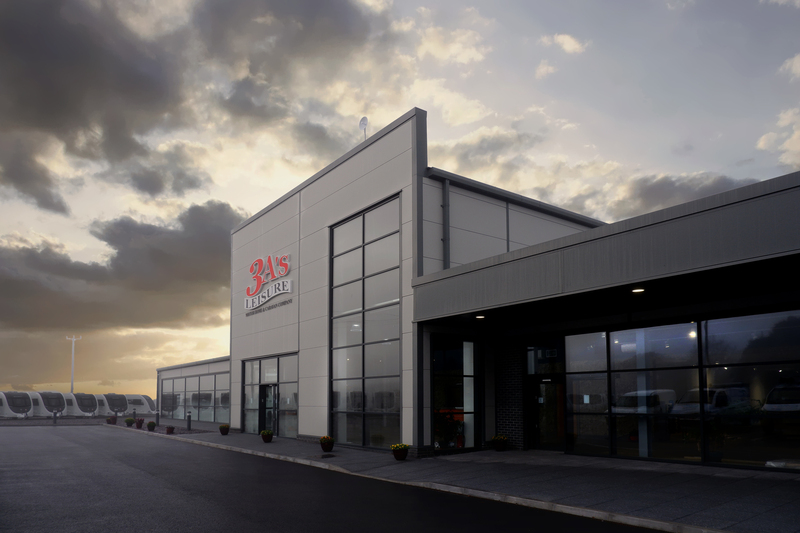 S&A Fabrications had to work towards a very challenging brief with extremely tight deadlines, but managed to complete the building on time to a high-standard. 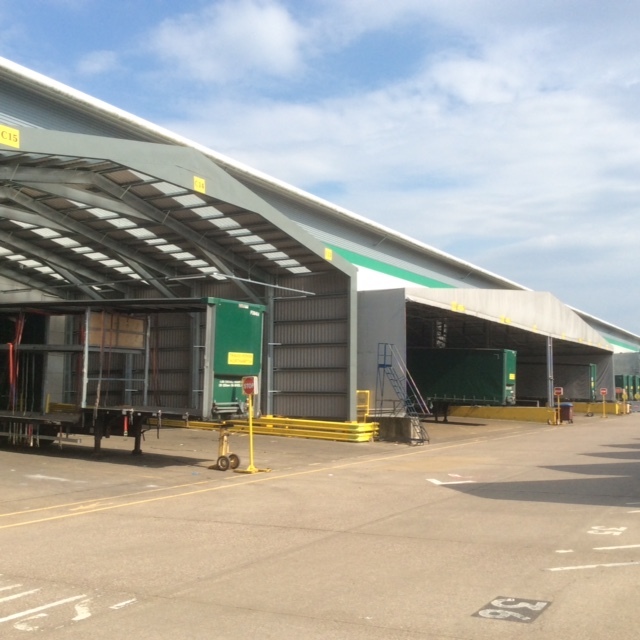 This project involved the construction of canopies over docking bays attached to the Travis Perkins warehouse. The previous canopies had argento tent structures, but United Products introduced the client to light weight steel structures which give a much better look. 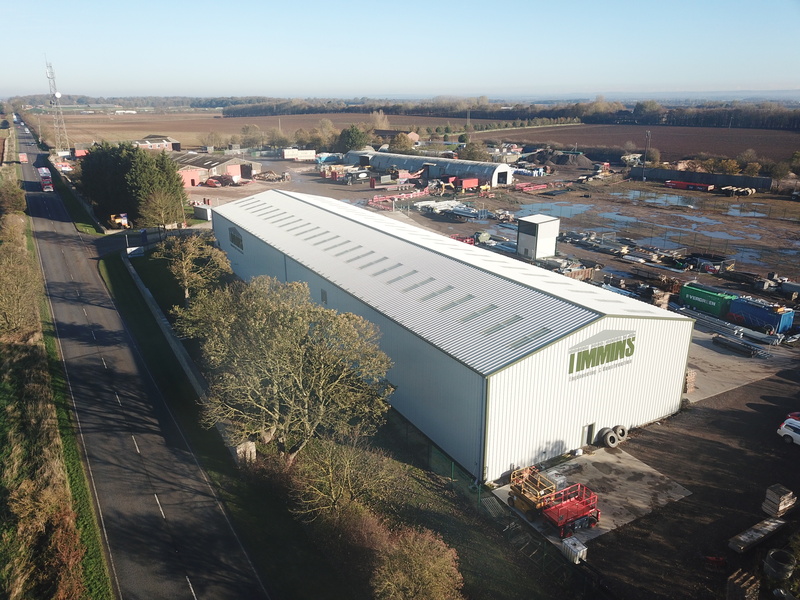 Located in Retford, this despatch and office was constructed from greenfield site to completion by Timmins. 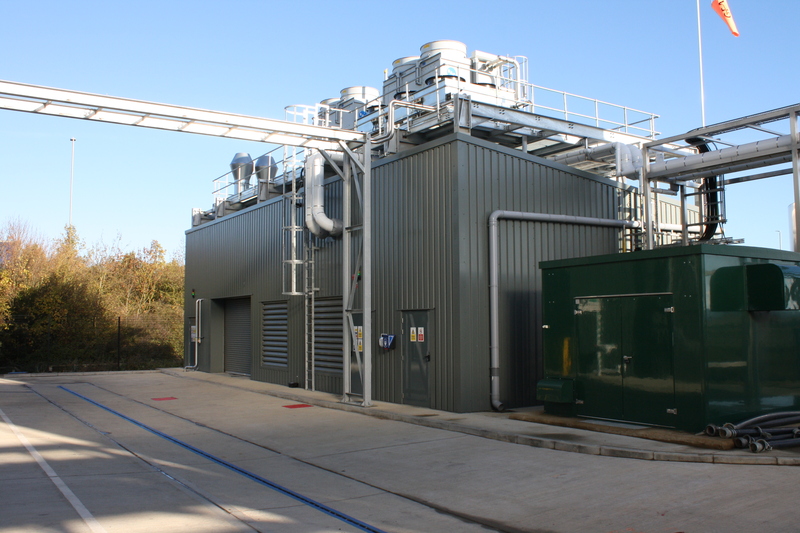 This building has an innovative design by being a very compact state of the art unit but still having the largest output of the pack houses within the supply group. This project required careful consideration regarding its design, as it was important that the flow of produce through the pack house was maximised. 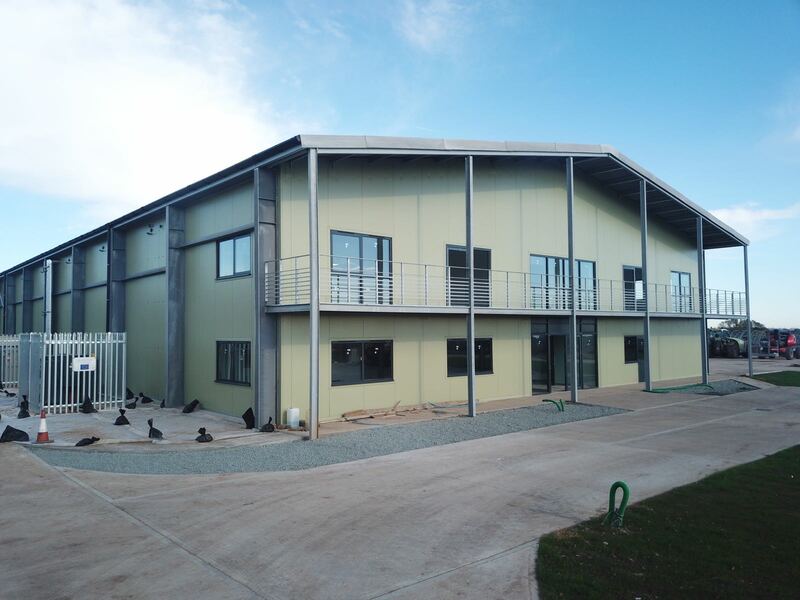 This new building has benefited the group greatly as it has allowed versatility with sales and has reduced the companies amount of waste. The purpose of this project was to streamline the process of valeting cars, as it was previously very complicated. To achieve this project brief, Shand Building Design had to design a building that ran alongside the existing building to allow interconnecting. This extension to the building has gained huge savings for the applicants on a daily basis. 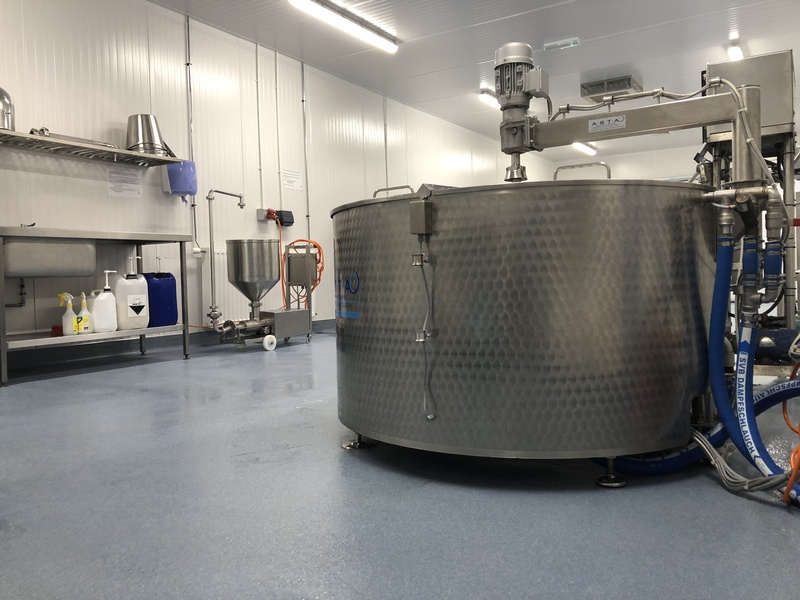 These new, state of the art dairy facilities are a key element of the University’s research and development in dairy science, herd health, veterinary science and environment. This project demonstrates how innovative design combined with the very best practices can improve yields, increase productivity and provide a flexible platform for research topics. 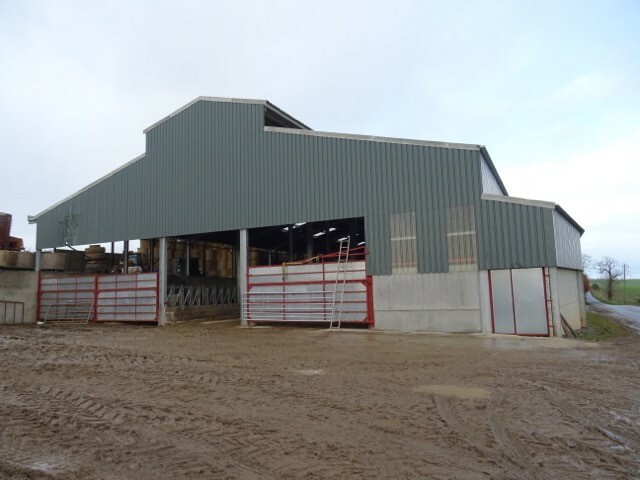 One of these practices includes the use of deep sand-based cubicles to improve comfort, health and welfare for the cattle.The building provides optimum levels of ventilation with 22.5-degree roof pitches and ridge lights to promote natural stack effect air circulation. 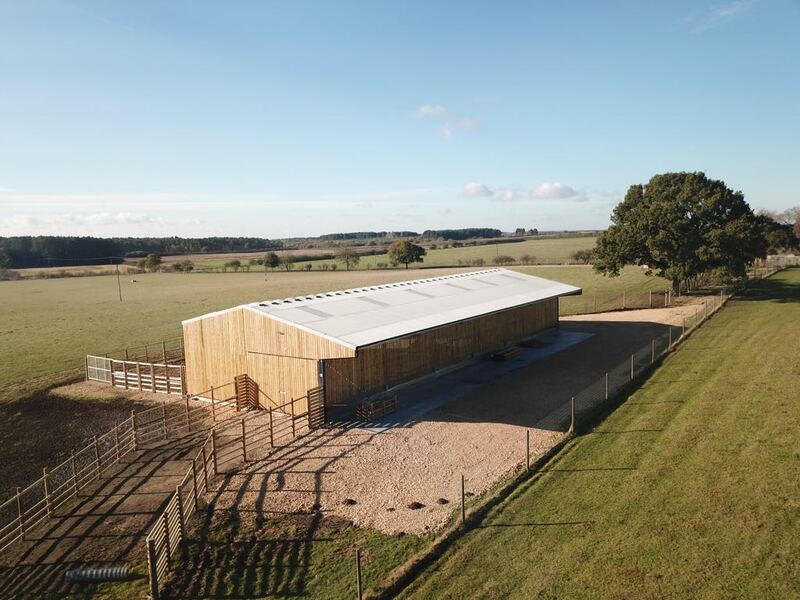 The brief for this project was to construct an entire farm from the ground up, including planning permission. 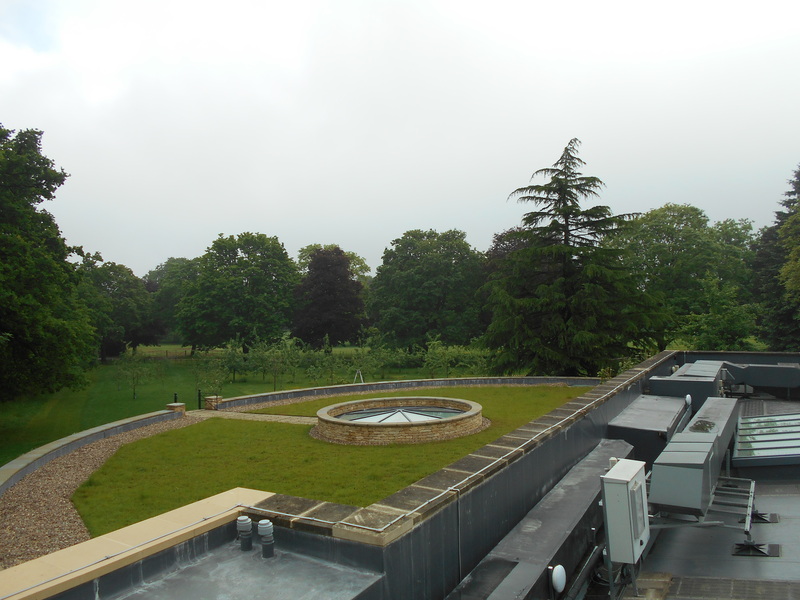 The project was extremely complex due to the lack of services and utilities on the grounds. Vital elements of this project include good airflow within the roundhouses, vehicle movement and cattle access to the site. 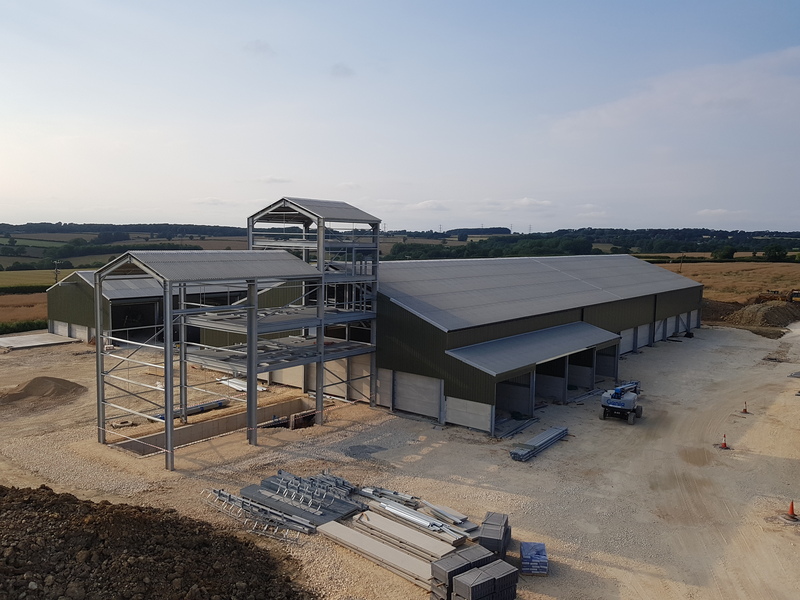 Also, due to the high location of this farm the building couldn't be too tall, so S&A had to overcome this issue to ensure that the grain store capacity was fulfilled with the use of elevators and conveyors. There were a number of challenges that S&A Fabrications had to face on this project, mainly concerning planning permission. For example, permission was required to work around a water main which meant designing the buildings to cope with the tight access was time consuming. It was also part of the clients brief to make something that was aesthetically in tune with the rural location opposite Welburn Hall and next door to houses. To achieve this timber castle boarding was used on the gable ends facing the housing and over sailed the eaves of all three buildings to create shadow lines and soften the "agricultural" use. 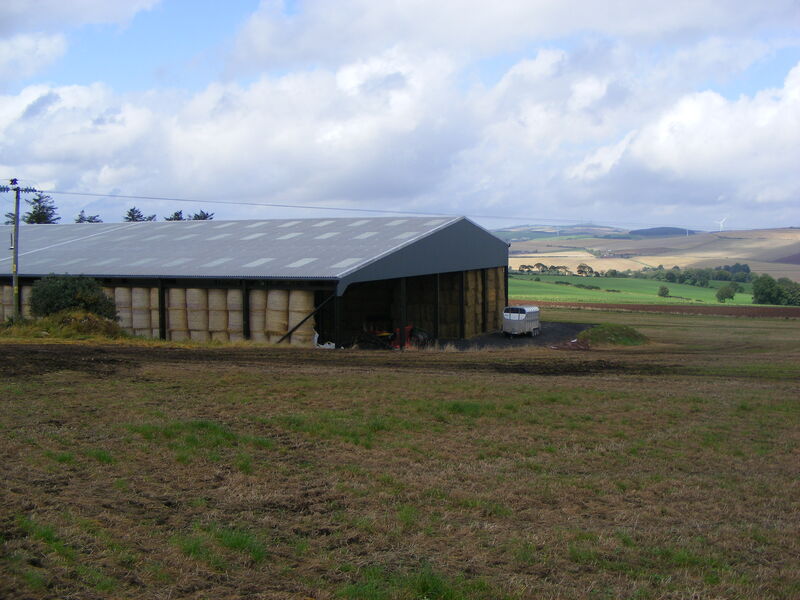 This projects brief was to replace the old, run down steading with a new, updated steading for 140 cows. It was important that there was plenty of space for the cows to roam, easy access for feeding and bedding for the cattle. Shand also suggested a feed wagon and straw shredder which is now used on a daily basis at Cloffickford. Timmins carried out the design and construction from greenfield site to completion for Arden Farms, and had to work with challenging surroundings. When working on Arden Farms, noise levels had to be kept to a minimum, not to disrupt the deer in the adjacent fields. The farm also needed to be self-sufficient due to the isolated, rural area. 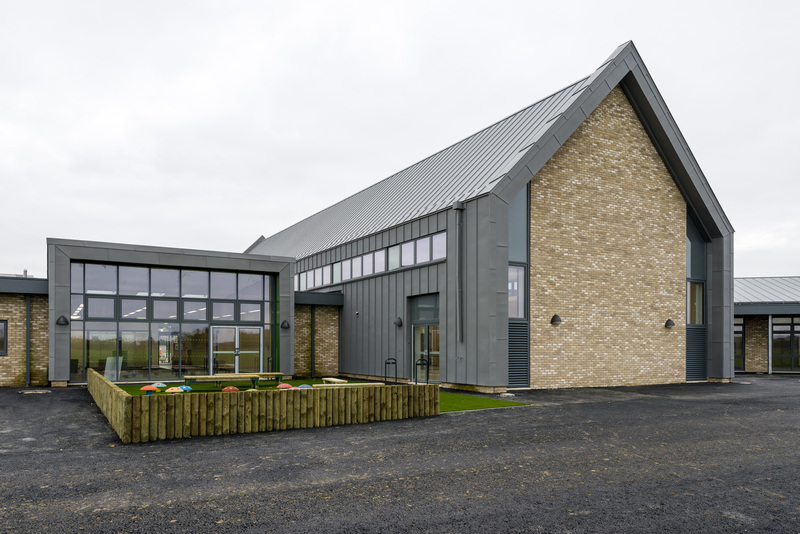 This brand-new Primary School and Nursery in Attleborough was part of a programme by Norfolk County Council to create better education facilities across Norfolk. 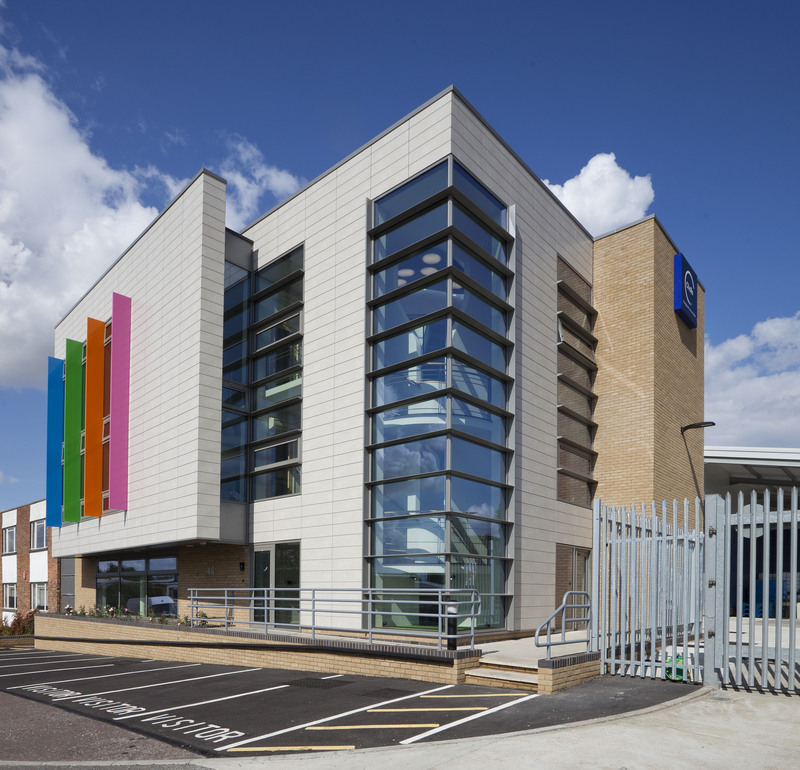 A.C. Bacon have made excellent use of the site and used a variety of materials in the transformation of the previously outdated primary school. 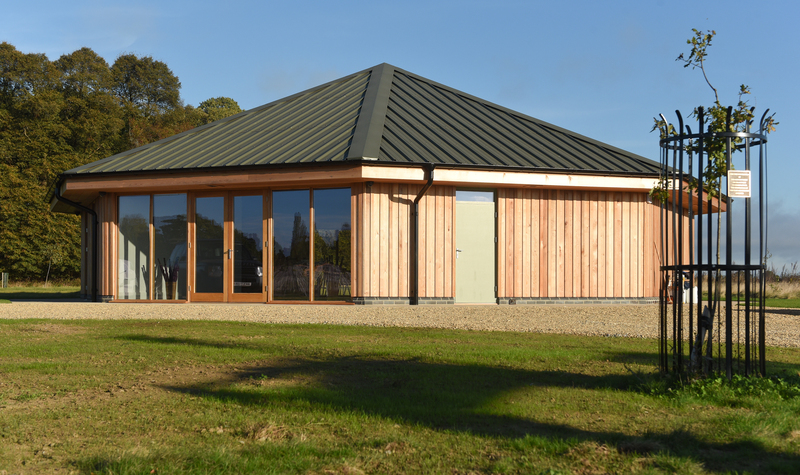 This new build in an established woodland burial park is a great example of an impressive building that has used environmentally friendly materials. It was an intrinsic design requirement that the building’s aesthetics were to blend in with the immediate environment, and this was achieved by the use of olive-green roof panels and extensive Cedar cladding on the exterior elevations. This project boasts a unique design, pleasing aesthetics and a facility that will greatly benefit the surrounding community. 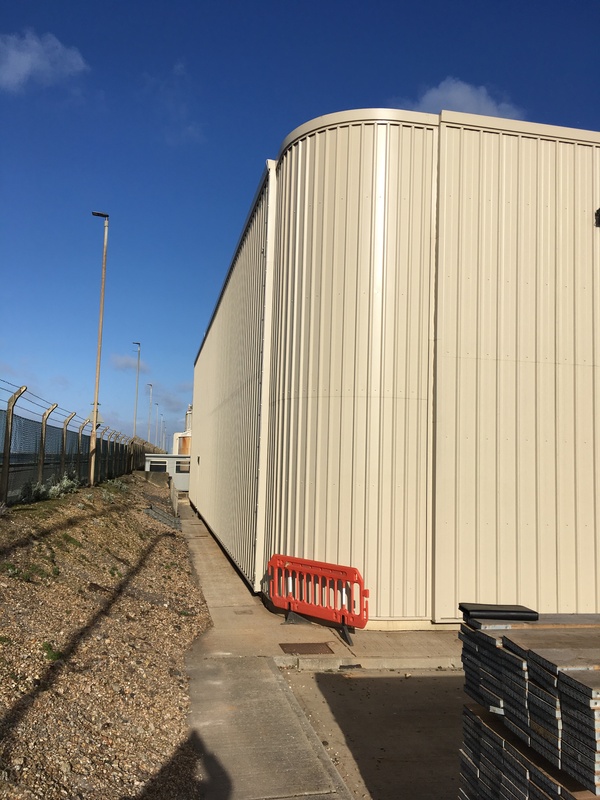 A.C. Bacon fabricated and erected in excess of 45 tonnes of hot-rolled steelwork and supplied and installed Kingspan Topdeck Roof Panels combined with a variety of Kingspan Architectural Wall Panels totalling 2250m². Folly Farm began life as a third-generation dairy farm with land that straddled a busy main road. Today Folly Farm is home to many different types of animals, including penguins, Lions, Rhinos, Giraffes in addition to more traditional farm animals. Shufflebottom worked on this project to create a new entrance to the farm, with the tourist attraction element of the site being at the forefront of their design and construction requirements. This proved challenging, as it meant that a large amount of the construction work had to take place outside of open hours. Casterly Barn is a conversion project which has transformed the original barn into a leisure facility for events and occasions. The project is set in a remote hill-top location totally off grid, so ideal for its function as an events space. The isolation of the barn enhances the special remote rural character of the site and also ensures the use of the building will not disturb neighbours. 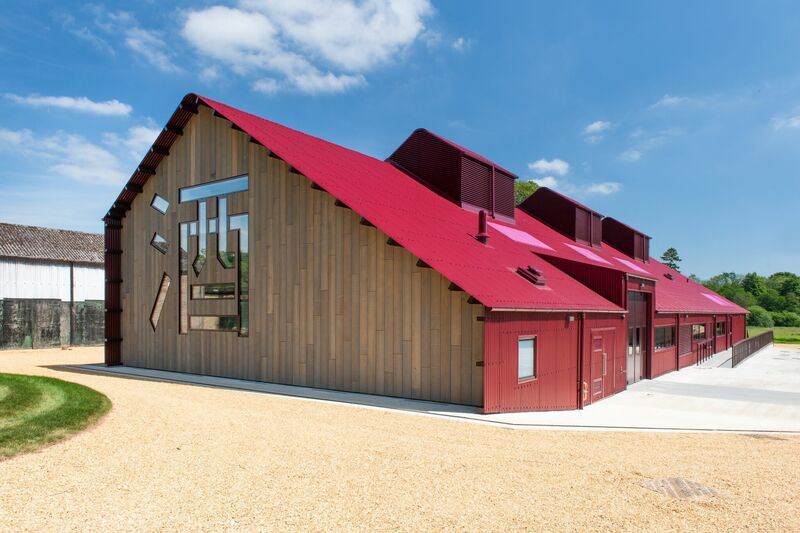 This barn can be admired for its use of environmentally friendly power, drainage and renewable energy. Construction completed by AJ Lowther & Sons, this garage contains one of the most expensive private collection of cars in the UK. It is rumored that the client has the first Rolls Royce ever made for sale. AJ Lowther worked on a number of projects for the client, and although the submitted project was the smallest it proved to be the most challenging due to the complicated structure of the underground garage. 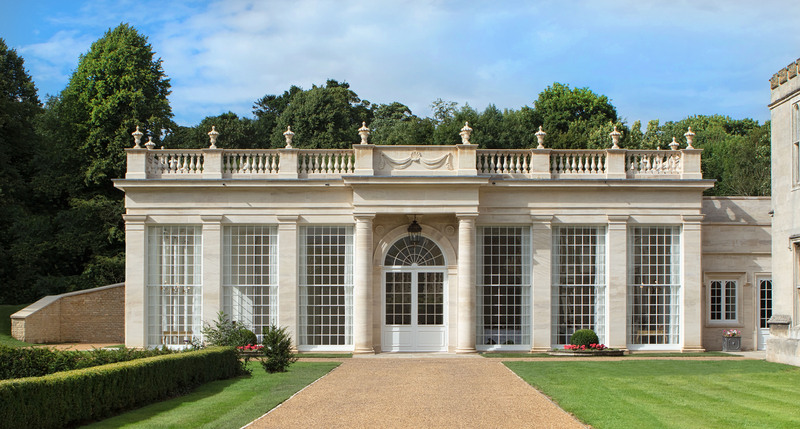 Over a decade in the planning process, which included getting consent from Historic England, The Orangery was built and designed to match the existing Grade I listed 16th century hall. Matching the style of the existing buildings was especially important and it was vital that this was preserved. The project faced challenges such as site access, so had to contract with a specialist haulier using a short rear steered artic trailer to get long lengths of steel onto the site. Completed in 2018, A.C. Bacon were appointed to designing and constructing two half frame domes representing the hills of 'Misterland'. In order to achieve the curvature of the frames A.C. Bacon Engineering Ltd had to use their skill and experience to determine the radius of the curvature whilst not exceeding the parameters of the exhibition space. The overall success of the project was acknowledged in the positive feedback from those who attended the exhibition and the award of the Silver Medal from the Royal Horticultural Society. 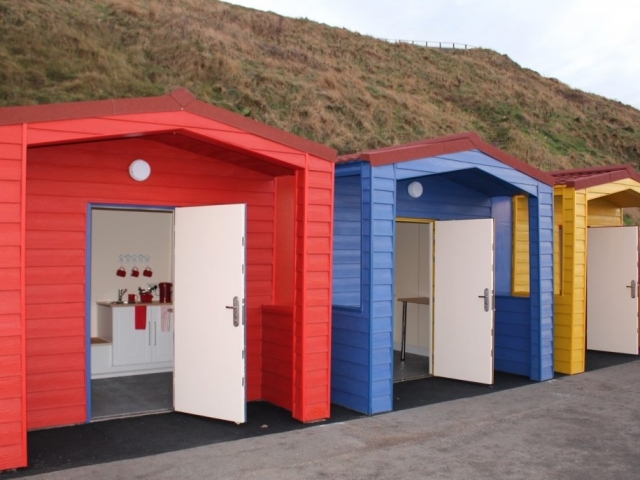 United Products were appointed to erecting 30 beach huts from cold rolled steel frames. This is a unique project and the first of its kind in the UK for utilising steel frames as sub structure. This is a start up business in conjunction with the local authorities offering the prime site to Marshalls Beach Huts. They have completed their first summer period with all huts being booked out.